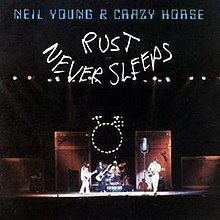 NEIL YOUNG: RUST NEVER SLEEPS: 1979: 5 STARS OUT OF 5 STARS: Hearing this album was love at first listen. Easily my most played album in the fall-early winter of 1979. Most of the album was recorded live and then overdubbed in the studio later- like Jackson Browne’s Running On Empty. The audience noise was removed as best that they could and the album is half acoustic, half electric with the album opening and closing with two different versions of My My, Hey Hey–then Hey Hey My My. One of my 25 favorite albums of all times. On the list of 1001 albums to hear. 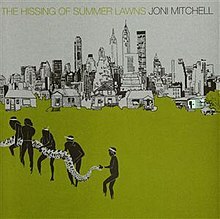 JONI MITCHELL: THE HISSING OF SUMMER LAWNS: 1975: 4 1/2 STARS OUT OF 5 STARS: Like Neil Young, Van Morrison, Bob Dylan- Joni Mitchell is an artist- not someone trying to keep up with trends and have hit singles. At first this album got mixed reviews but over time it has gained respect. A change in direction with more jazz sounds on this album and nothing close to a hit single. She would never have another hit- I doubt she lost any sleep over that. On the 1001 albums to hear list. NEIL YOUNG: HAWKS & DOVES: 1980: 4 STARS OUT OF 5 STARS: The follow up to Rust Never Sleeps- it is less than a half hour in length. The first half of the album songs taken from sessions years earlier and the second half new 1980 songs. At the time of release this was a disappointing album- but I have grown to like it. It was released the day before the 1980 Presidential election. HARRY NILSSON: … THAT’S THE WAY IT IS: 1976: 3 STARS OUT OF 5 STARS: An improvement over Sandman but still far from the classic Harry. Only two originals the rest are covers. It is kind of painful hearing him here at times- his once great voice is shot- he can’t hit notes like he used to. On a song like I Need You- the America song- the old Harry would have made it a classic. Harry at this point was kind of past caring much. 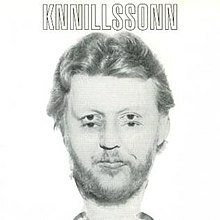 HARRY NILSSON: KNNILLSSONN: 1977: 3 1/2 STARS OUT OF 5 STARS: Harry’s voice had recovered somewhat- but bad timing – this was Nilsson’s final RCA album- released just before the passing of another RCA artist- Elvis Presley- so there went the promotion plans for this album. Nilsson never toured so it went unheard for the most part. Nilsson wrote all the songs! 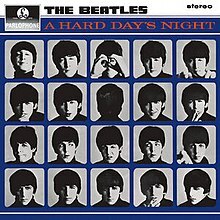 THE BEATLES: A HARD DAY’S NIGHT: 1964: 5 STARS OUT OF 5 STARS: A Beatles album a day keeps the doctors away. Ranking the closers- I’ll Be Back I have at #7 of the 12 Beatles closers. On the 1001 albums to hear list. 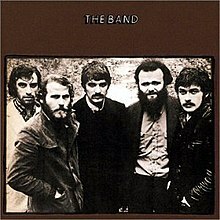 THE BAND: THE BAND: 1969: 5 STARS OUT OF 5 STARS: A masterpiece. I never get tired of listening to this album. Last week I ranked every song on Fleetwood Mac’s Rumours in order- I couldn’t even begin to do that with this album- I don’t think I could do it. On the 1001 albums to hear list.